I looked up her name — and saw that she was on the MLPA Blue Ribbon Task Force for the North Central Coast, as well as for the South Coast. I was appalled by the fact that an oil industry representative with such an enormous conflict of interest was on a task force to “protect” the ocean, along with a coastal real estate developer, marina corporation executive and others with big conflicts of interests. As it turned out, several months later Reheis-Boyd became the President of the Western States Petroleum Association (WSPA) and around the same time became the Chair of the MLPA Initiative South Coast panel after the previous chair left. The worst fears of MLPA Initiative critics were realized in December 2012 when the Brown administration completed a series of “marine protected areas” on the California Coast that fail to protect the ocean from oil drilling, fracking, oil spills, pollution, military testing and all human impacts on the ocean other than sustainable fishing and gathering. Then in August 2013, an Associated Press and FOIA investigation revealed that the oil industry had conducted over 203 fracking operations in waters off the California coast during a 20 year period, including the period from 2004 to 2012 that Reheis-Boyd had served on the MLPA task forces for the South Coast, Central Coast, North Central Coast and North Coast. Since that time, I have written many articles documenting the power of Big Oil and WSPA on this website and elsewhere. I've found that the state's appointment of oil and energy officials, as well as Big Ag interests, to serve on the state's regulatory panels and agencies has increased dramatically in recent years under the Arnold Schwarzenegger and Brown administrations. Then in February 2017, an analysis of Department of Conservation data by the Fracktracker Alliance revealed that Governor Jerry Brown’s oil and gas regulators approved 238 new offshore oil wells in state waters under existing leases off Los Angeles and Ventura counties from 2012 to 2016, an increase of 17 percent. Roughly 171 of them were still active as of a year ago. In addition, the number of active onshore oil and gas wells has jumped 23 percent from 53,825 in 2009, the year before Brown was elected Governor, to 66,516 onshore wells at the end of 2016, according to Department of Conservation data. 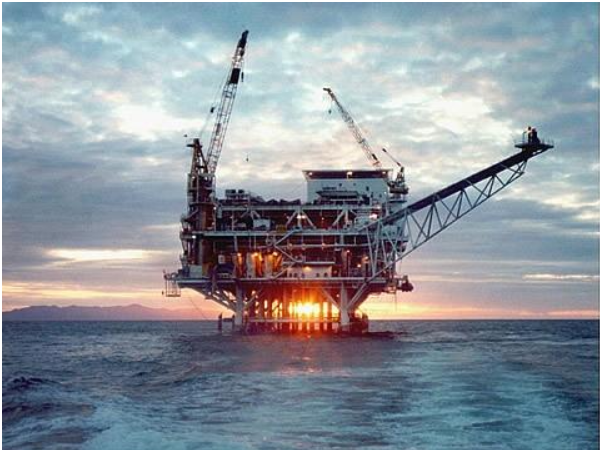 More recently, state records obtained by the Center for Biological Diversity under the California Public Records Act revealed that corporations drilling for oil and gas off the southern coast of California have violated state regulations at least 381 times since 2015. “The violations range from major corrosion and other serious safety threats on offshore drilling platforms to a pattern of missing and failed well-integrity tests on four offshore drilling islands owned by the city of Long Beach,” the Center said. While California officials tout themselves as leaders in “marine protection,” the reality in the state’s coastal waters is one of fossil fuel expansion and rampant violations of environmental laws by the fossil fuel industry. “The Legislature is taking action to curb climate change and protect vulnerable communities from industrial poisons,” said Governor Brown. The bill was opposed by many environmental justice, consumer and conservation groups, although supported by some NGOs, including the Natural Resources Defense Council (NRDC), the Environmental Defense Fund (EDF) and the California League of Conservation Voters and billionaire environmentalist Tom Steyer. Both organizations called on state legislators to defeat the cap and trade bill, a measure that passed through the Senate Environmental Quality Committee on Thursday, July 13, and went to the Senate Floor on Monday, July 17. "Jerry Brown calls climate change an existential threat, but this bill is a sell out to the oil and gas industry that does nothing to avert that threat,” said consumer advocate Liza Tucker of Consumer Watchdog at the time. “Brown and lawmakers who support this bill will be helping the oil and gas industry continue to pollute rather than slash their emissions." Tucker said AB 398 creates “several exemptions” for the oil and gas industry and fossil fuel power plants from air pollution regulation by giving the Air Resources Board (ARB) total authority over their emissions. “It then straightjackets ARB’s oversight by requiring it to regulate only via cap-and-trade, prohibiting it from crafting meaningful greenhouse gas reduction goals," she stated. Tucker and Scow said that the oil and gas sector would see “immediate benefit in the form of reduced regulation.” The legislation pre-empts local air quality districts that regulate the biggest oil refineries in the state, preventing them from setting stricter emissions limits that polluters would have to meet. “In addition, the legislation makes the cap-and-trade program, which relies on the issuance and sale of emissions ‘allowances,’ even more favorable to the oil and gas industry. The program would keep carbon emissions cheap by continuing to give hundreds of millions of dollars’ worth of free pollution credits to the oil and gas industry," they said. The legislation also exempts the electric power industry from state taxes. They said the lost state taxes will be made up for with cap-and-trade revenue that would go into the general fund. That cap-and-trade revenue then will not be available to fund pollution monitoring or reduction programs, Tucker and Scow concluded. The California Environmental Justice Alliance (CEJA) also strongly opposed AB 398. CEJA Co-Director Amy Vanderwarker said in opposition to #AB398: "It does not get us to the real rapid emissions reductions our communities need." Despite the massive opposition to the bill, the oil industry and Jerry Brown were able to pressure the legislators, including some Republicans, to pass AB 398. The bill passed 55 to 21 in the Assembly and 28 to 12 in the Senate — and the Governor quickly signed the legislation into law. State officials, the mainstream media and corporate environmentalists depicted the passage of Governor Jerry Brown’s cap-and-trade bill as a “historic climate victory,” although 65 environmental justice, conservation and public interest organizations slammed the bill’s passage because of the devastating impact it will have on frontline communities, the people of California and our air and water. So how did a big oil lobbyist come to chair a “marine protection” panel in Southern California from 2009 to 2012 and how was the organization she oversees able to effectively write Governor Jerry Brown’s “historic” cap-and-trade legislation and then make sure that it passed through the California Legislature? The answer is two words: regulatory capture. In spite of California's reputation as a "green leader, Big Oil is the largest corporate lobby in the state and exerts enormous influence over the Governor's Office, Legislature and regulatory agencies. The Western States Petroleum Association (WSPA), the most powerful corporate lobbying organization in California, and its members have contributed $170 million to California political campaigns since 2001, according to a data analysis from MapLight released on February 14. WSPA is the trade association for oil industry interests in the western states of Arizona, California, Nevada, Oregon, and Washington. WSPA members include multinational oil corporations such as Chevron, ExxonMobil, BP, Valero and the Plains All American Pipeline Company, the corporation responsible for the Refugio Beach Oil Spill of 2017. WSPA and its members have contributed more than $112 million to ballot measure campaigns, $8 million to state candidates, and $50 million to other California political action committees and party committees, according to the MapLight analysis of data from the California Secretary of State compiled by Laura Curlin and Ashleigh McEvoy. “Chevron tops the list of political donors from WSPA’s membership, contributing $89 million overall since 2001, the first year in which online data is available,” Maplight reported. “Aera Energy has contributed the second most at roughly $40 million, and Valero is third at $13 million. In addition to pouring millions into campaigns, WSPA “augments its political influence with a massive lobbying presence in Sacramento,” topping the list of lobbyist spending in California in the third quarter of 2017, according to Maplight. Big Oil dominated three out of the four top spots of expenditures by all lobbying organizations in 2017, the year that the oil industry-written AB 398 passed through the Legislature, according to documents from the California Secretary of State’s Office that I analyzed. Big Oil has become so powerful in California, in spite of the state’s “green” image, that every bill except one opposed by the oil industry has failed to make it out of the legislature over the past three years. There is no doubt that Brown’s support of increased offshore and onshore drilling in California occurs within the larger context of the capture of the state’s regulatory apparatus by Big Oil, Big Gas and other Big Money interests.